The RadCalendar supports single selection functionality. 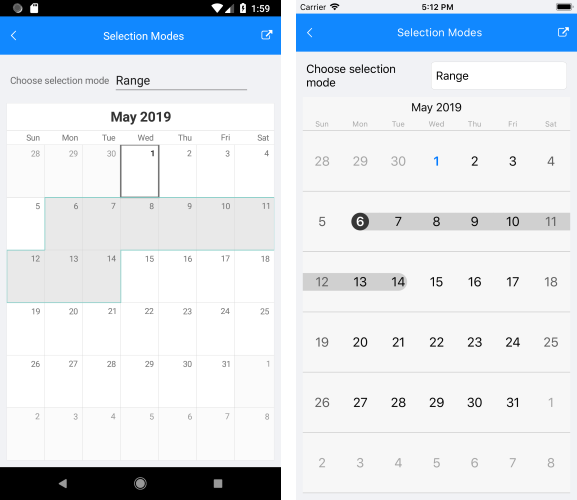 The selected date can be changed programmatically or when the user taps on a calendar cell. SelectedDate (DateTime? ): Gets or sets the currently selected date. ): Occurs when the selected date is changed programmatically or due to user interaction.